Many WI branches are part of a local group of WI's. The Group meetings are a great way for members to meet, learn and have fun. Over the coming months we hope to show the range and flavour of group activities across Derbyshire. Members of the DeRodes Group of WIs enjoyed a lovely carol service in December at Staveley Methodist Church, hosted by Staveley and Woodthorpe WI. Each WI presented a poem or reading during the service and enjoyed tea, coffee and mincepies and of course a chat to round off the evening. 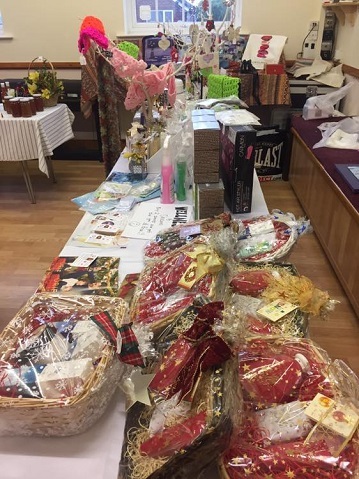 One of the stalls at the Scarsdale Group of WI’s Christmas Afternoon Tea. WI ladies never miss an opportunity to spend spend spend! 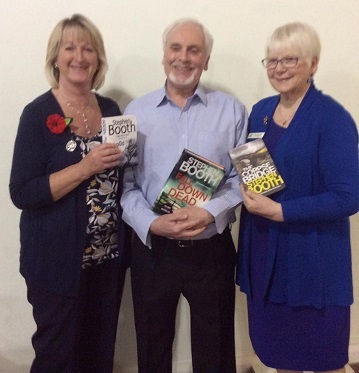 Stephen Booth, a popular author of Crime Fiction set in Derbyshire was the speaker at the Rutland Group meeting in November 2018, followed after refreshments, by the Ukelele Band Thunderoadz. Old Brampton WI hosted the meeting at Loundsley Green Church, which was well supported by members of WIs in the Group. Duffield Cumberhills WI had a brilliant evening at their group meeting. Thanks to Milford and Makeney for organising it. Fab barn dance- everyone joined in! Milton WI who were celebrating 40 years of their W hosted their group meetingI. 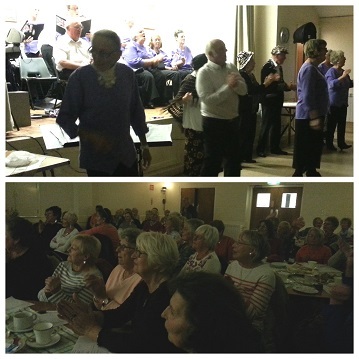 The entertainment was The Breakaway Singers who were great and everyone had a good sing along great fun!! 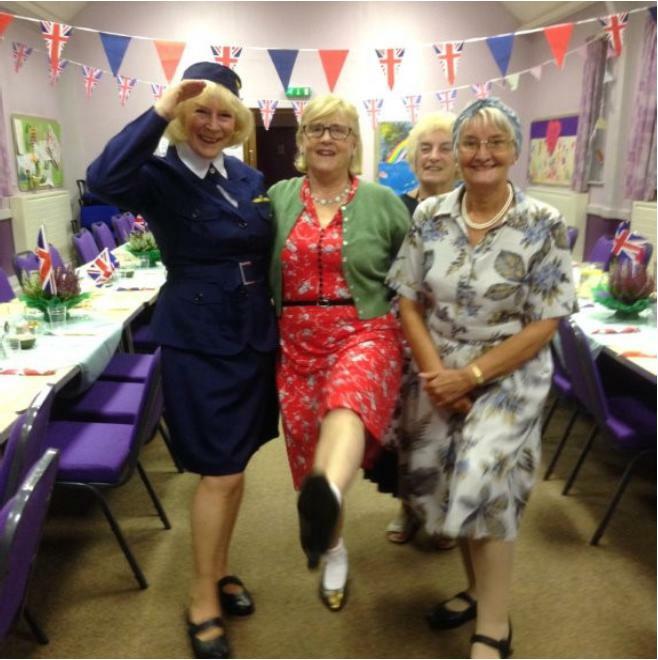 10 Ravensdale WI ladies enjoyed a fun evening at the Moreleston Group social evening which was hosted by Littleover WI. Lathkill Group Meeting this evening, held by Chatsworth WI. Excellent pie and pea supper with homemade apple crumble and the Mike Spriggs' singers as entertainment. 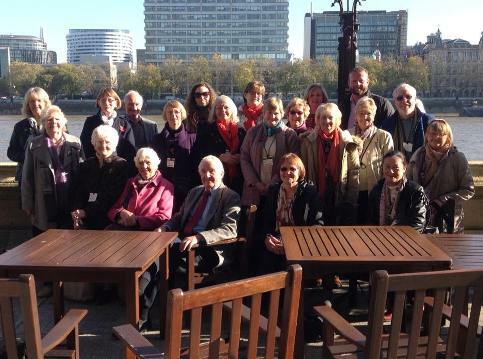 The Sherwin Singers - one of Derbyshire Federations WI Choirs sang at the Hopwell Group Gala in September. 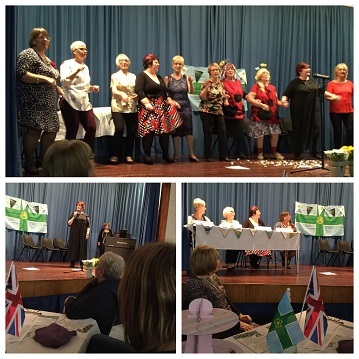 The 6 WIs in the group organised a day to celebrate the DFWI centenary. DeRodes Group meeting hosted by Chesterfield Town WI. What a fun evening in the 1970s! Detectives we are not but what a great meeting! Thank you so much to Rob from Chesterfield ghost trails. http://chesterfield-ghost-trail.co.uk/ A fantastic final meeting for our year as hostess WI of the De Rodes Group of WIs. 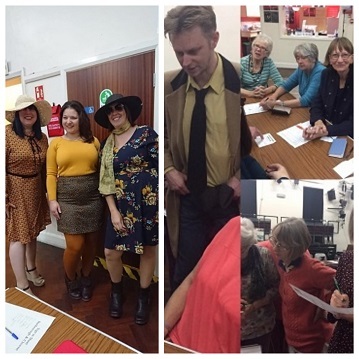 Thank you to all who came along to our 1970s themed murder mystery tonight - didn't our officers look the part! From the successful Hopwell Group Celebration of the DFWI Centenary at Risley. Thank you to everyone who made it such a great day. 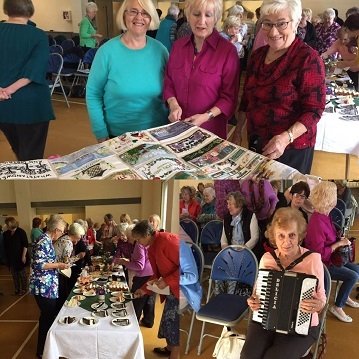 The Pennine Group of WI's celebrated the DFWI centenary in style, by holding a party for all the groups WI’s to attend with a theme of celebrating games through the last 100 years. There was hop scotch, hula hooping, beetle drives and board games galore, plus much much more. 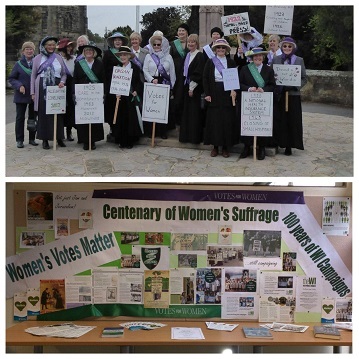 As it is also the centenary of Votes for Women the venue was decorated in the suffragette bunting and paper chains. Topping a wonderful day off with a superb WI tea. 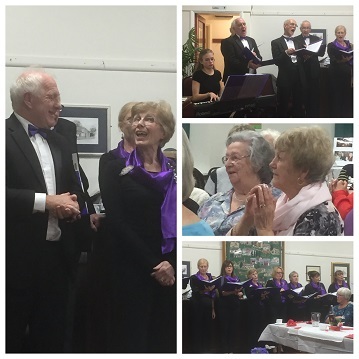 The De Rhodes Group had a fantastic evening hosted by Chesterfield Town WI on Monday 4th December. 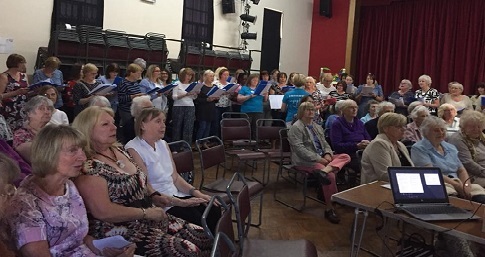 Here's a video of their instant choir group; it looks as if everyone's having a great time and don't they sound amazing. Sir Richard Fitzherbert of Tissington Hall gave a hugely entertaining and informative talk to the Trent Vale Group on Wednesday 25th October. 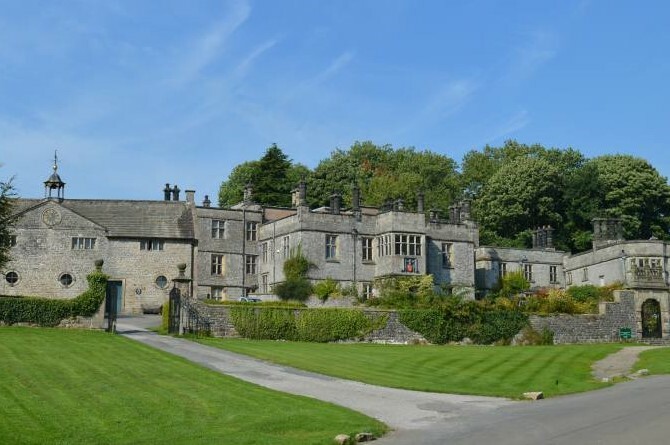 Built in 1609, Tissington Hall has 48 chimneys, 61 rooms, 4732 panes of glass and 7 bathrooms. 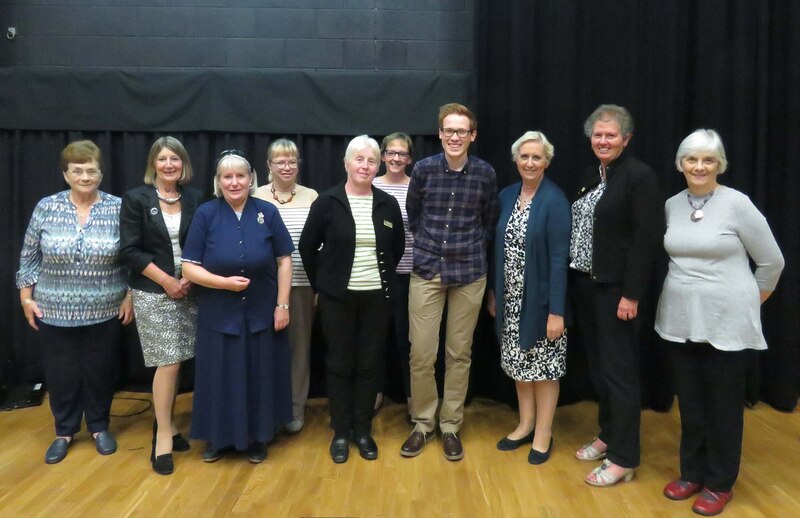 Sir Richard is a superb advocate for the Hall and Estate, which he inherited in 1989, and group members were an enthusiastic and interested audience at this event held at Aston on Trent, hosted by Alvaston WI. 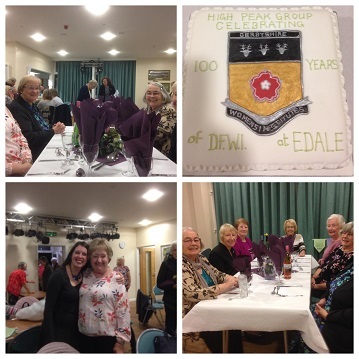 Around 60 members attended the Cavendish Group Autumn Social hosted by Darley Dale WI. The hall was decked out in 40’s style with flags, bunting, memorabilia and even sandbags. 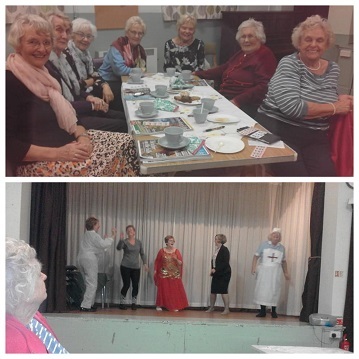 Darley Dale WI and some of the members of other WIs had ‘dressed to impress’. The evening commenced with a 40’s quiz which had most members guessing at dates and events. Pie and peas were served followed by parkin and tea and coffee. The highlight of the evening was a 40’ style singer, Jayne Darling, who brought back memories and had everyone singing along. 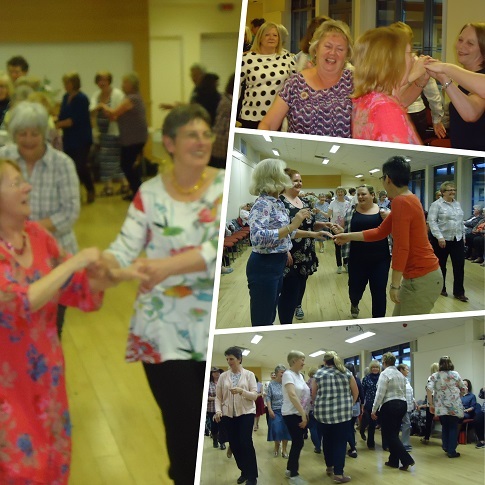 The De Rodes Group met on Thursday 12 October 2017 and enjoyed their Bollywood evening. Members were interested to learn the history of classic Indian dance and how movements tell a story, and they had a great time trying some Bollywood dancing and learning how to wear a sari. 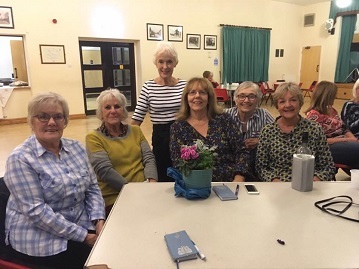 Draycott & Wilne WI hosted a superb meeting of the Harrington Group on 18th October which was dedicated to Doreen Williams the former group co-ordinator. President Kris Bingham was proud to introduce the speaker for the evening Andrew Smyth from Bake Off. Andrew was a superb speaker and his presentation "From Take Off to Bake Off: an Engineer's approach to baking" kept everyone spellbound. 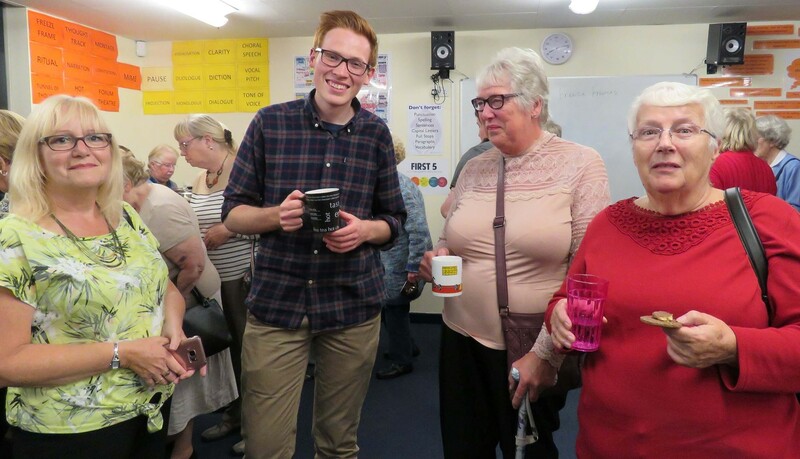 Andrew told group members how he trained as a pilot before going to University and also sings with several choirs in Derbyshire.